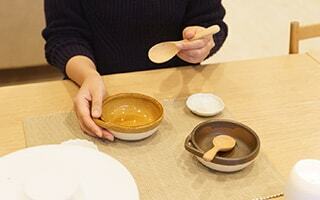 Japan Design Store hopes people to use favorite traditional crafts, Japanese tableware, or home decor for a long time. “Traditional crafts” seem to be difficult, but don’t worry. 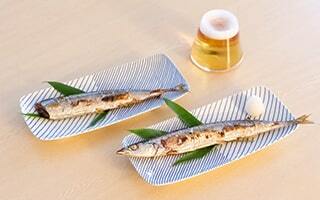 “Traditional crafts” have been carefully made as necessities for Japanese life, and loved by people for a long time. 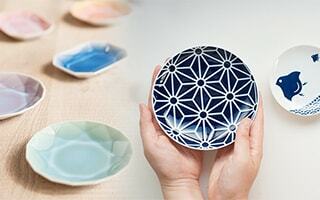 Therefore, traditional crafts are filled with Japanese aesthetic sense or sensitivity, wisdom that is suitable for Japanese climate, and skill of excellent craftsmen. 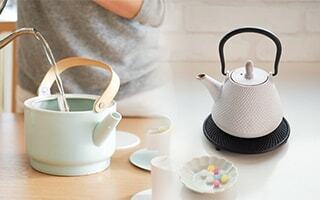 These pages introduce “points to choose traditional crafts” or “suggestion and introduction of using Japanese tableware.” We cannot fully explain the attractive points of the items in each product page. So, these pages complement the products’ information. 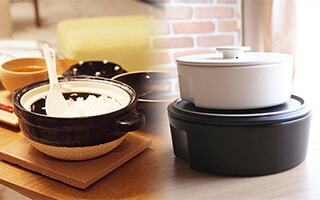 Depend on the products, such as lacquerware or tin tableware can be used for a half of the century. With some ideas of use, points of better use, or knowing thoughts of craftsmen, your life with Japanese masterpieces become richer and more colorful. You can imagine a life with Japanese masterpiece by reading these pages. From these thoughts, these pages introduce recommendation of our staff or seasonal ideas of use of our products. 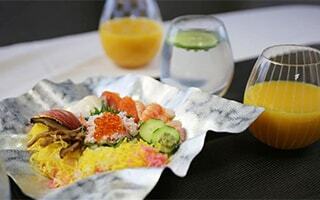 Are Japanese table setting difficult? 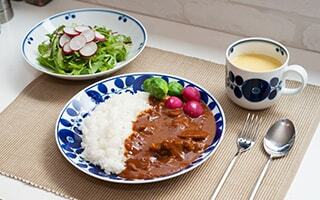 If you have the basic idea of WASHOKU or Japanese meal, you can make them easily. 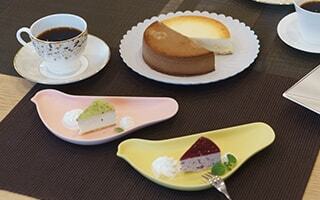 Here, we introduce the idea of Ichiju-Sansai and some recommended table settings with the tableware of our shop. Now is the second boom of Japanese tea! 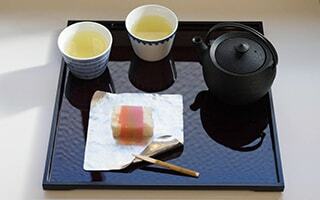 However, we would like you to know more about Japanese tea culture. 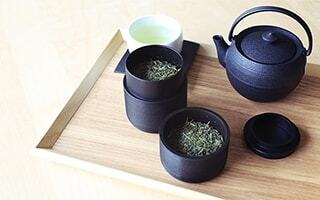 In fact, Japanese tea and Japanese tea set have long history. 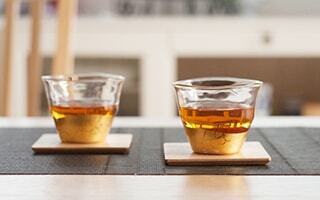 If you have wider knowledge, you can enjoy Japanese tea more! Japanese people love gift giving. For Japanese gift, gift wrapping is essential. 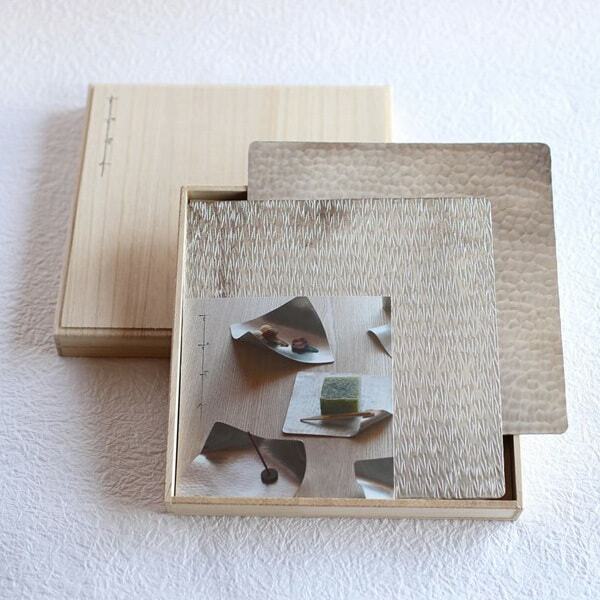 Japan Design Store offers various gift wrapping service. 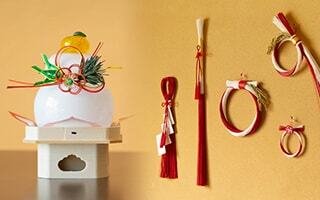 Here, we will introduce the history of Japanese gift wrapping. 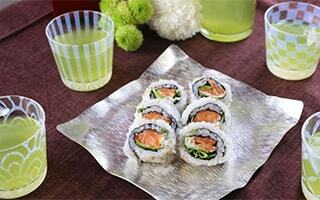 Also, let us introduce some recommended items for Japanese gift. Arita porcelain collection from 1616/arita japan. 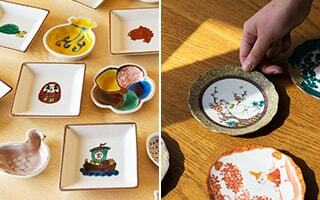 Japanese porcelain Arita ware varies from simple white plates to colorful cute bowls. 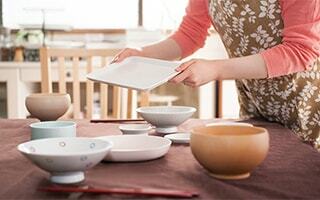 Inherited skill of traditional Arita porcelain meets modern designers. Stylish and useful design for contemporary lifestyle. 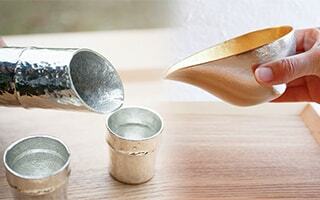 Takaoka copperware is a Japanese traditional craft of casting produced in Takaoka city in Toyama prefecture. 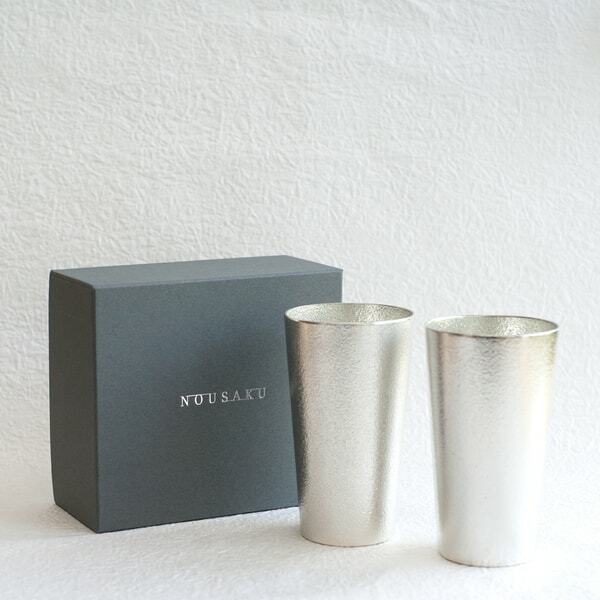 Popular brands in our store Nousaku and syouryu use the skill of Takaoka copperware. 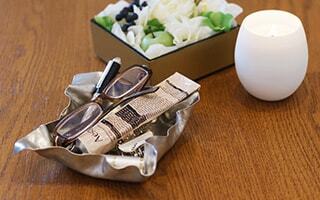 Elegant and aesthetic tin items are suitable for gifts, too. Do you know suzugami? Suzugami is a magical flexible tin plate. You can use it as vase, accessory tray, and more! This page introduces best 10 ways to use suzugami. Do you know Kutani ware? 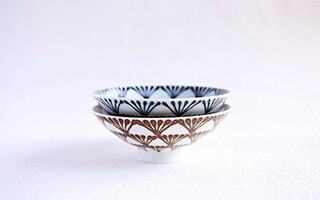 Kutani porcelain is one of the representative ceramics in Japan. overglaze painting called “Gosai” color dinner table gorgeously. Modern Kutani yaki makes your life happier. 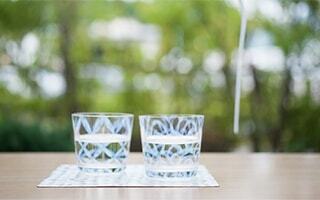 Let’s enjoy delicious Japanese sake with beautiful sake glass set! 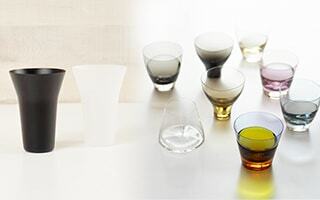 We introduce various sake glassware with gold leaf, Edo Kiriko cutting, or Usuhari glass. 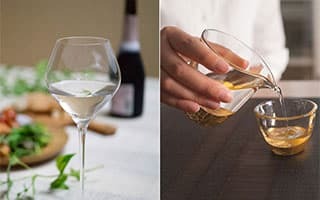 Stem glass has been popular sake glassware as well. Kettle is a standard kitchenware. Choose favorite kettle that ban be used for dozens of years. 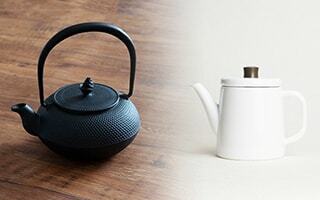 We collect Japanese tea kettles of Noda Horo, Azmaya, and Nanbu tekki. Japanese kettles are popular wedding gifts. Kettles of Noda Horo are enamelware. 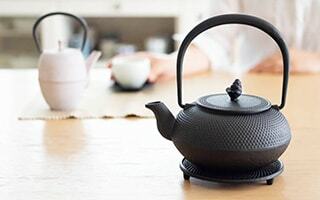 Enamel tea kettles can boil water quickly. Glassy surface is always hygienic. 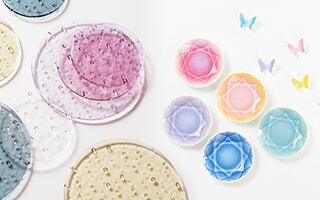 Noda Horo offers various colors and designs. 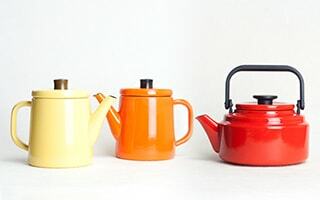 We collect retro and stylish kettles here. 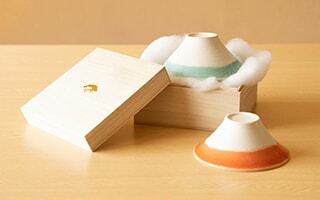 Cute and cool Fujiyama goods collection. Japanese people have loved Mt. Fuji from ancient era. Japanese craftsmen produce handmade Fujiyama goods. Various Fujiyama motif items are popular souvenirs from Japan to the world. 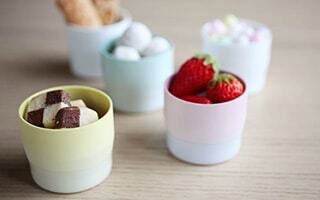 Cute bowls or useful rice bowls. 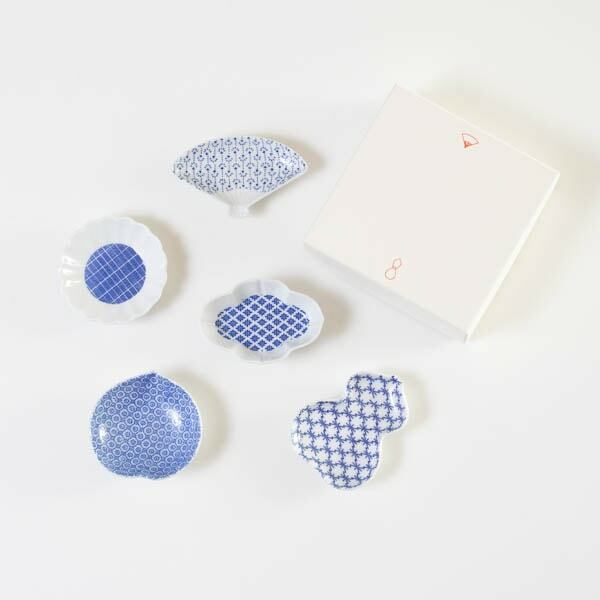 If you look for bowls, how about Hasami porcelain bowls? 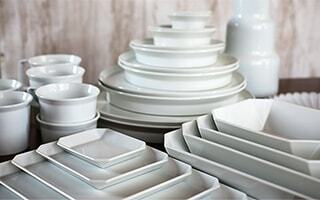 We would like to introduce masterpiece from popular brands or famous potteries. 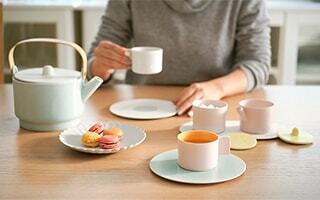 Hasami porcelain has a lot of good design products for modern lifestyle. 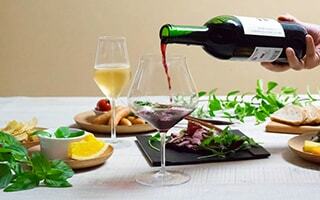 It is loved by people for a long time and gets attention now as daily use tableware. 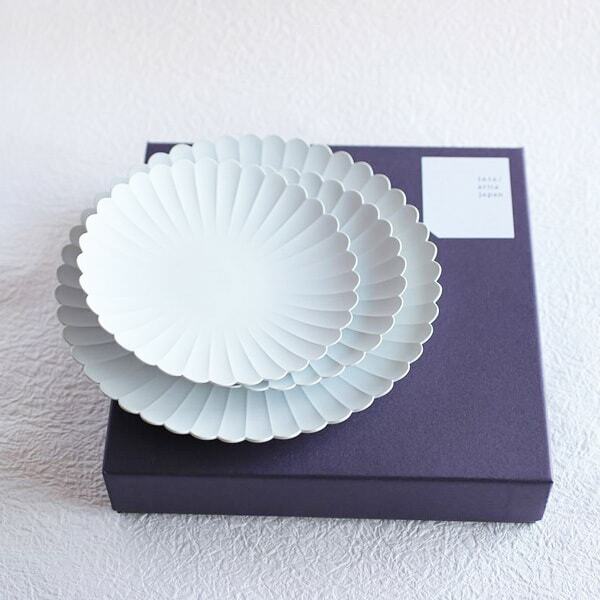 Beautiful and useful tableware would be great gifts. KAGO from Nousaku has been popular for its unique flexible feature. Since it has great possible ways of use, we recommend 7 stylish ideas of using KAGO. 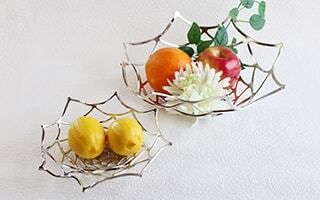 KAGO is not just a metal fruit bowl. You can be a master of KAGO with this page! 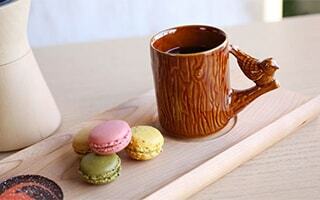 Happy coffee time with stylish coffee accessories. 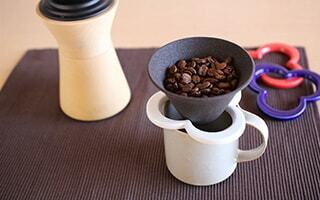 We introduce good-design and useful coffee accessories. Great gifts for coffee lovers as well. 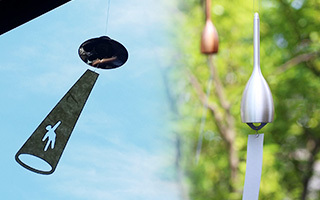 Japanese wind chimes are the great feature of summer in Japan. 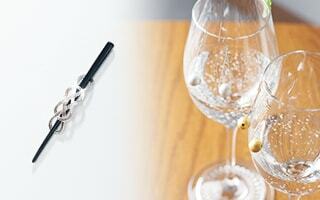 We selected the wind chimes which have elegant sound as traditional crafts, and modern design. Enjoy richer summer with cool sound of wind chimes. 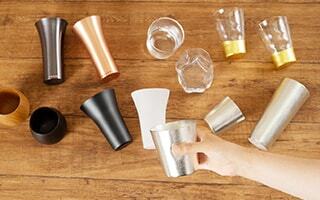 What are the tumblers our staff recommend? Our staff see modern traditional crafts every day. In this page, staff tell their recommended tumblers. If you look for tumblers, or need gift recommendations of tumblers, please check here! 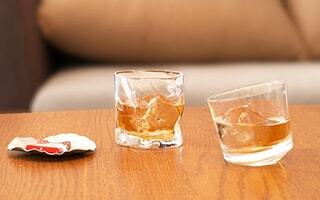 Our staff who see modern traditional crafts every day tell their recommended bourbon glasses. 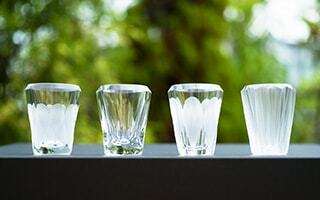 If you look for stylish whiskey glasses, leave it to Japan Design Store! 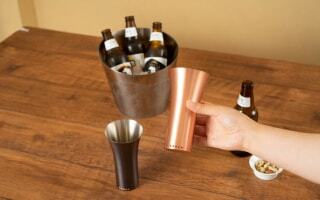 Enjoy delicious whiskey with elegant whiskey cups. Amber color of whiskey and gloss of glass make luxurious time. Masterpiece by Japanese craftsmen have great texture. 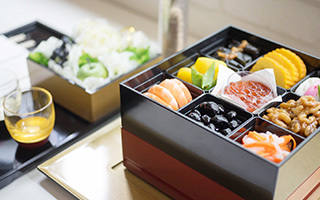 Urushi, or lacquerware is Japanese representative tableware. 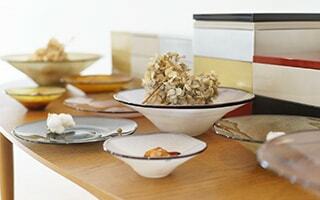 We introduce stylish Japanese lacquer ware here. Beautiful gloss of urushi and great usability will satisfy you. 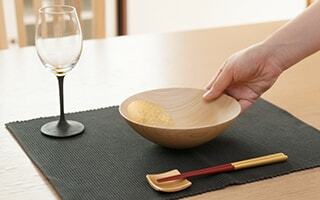 Please enjoy elegant lacquerware of Japan. Flowers are necessary to make more stylish interior decorations. Just put your favorite flowers in stylish flower bowls or vases. You can make a wonderful room. Please find your best flower bowls or vases from here. 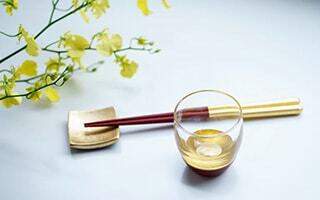 Kinpaku, or gold leaf is the symbol of eternity and long life. 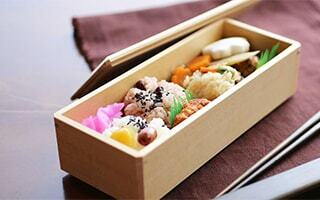 The Japanese traditional crafts with kinpaku provide elegant and luxury atmosphere. 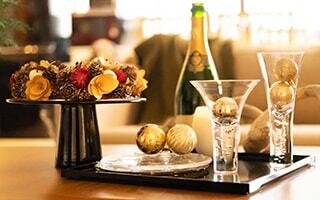 Shiny gold tableware would be great gifts as well. 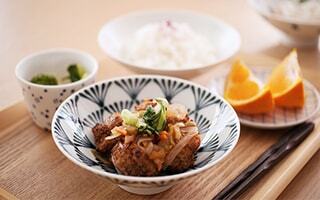 You can cook food with donabe, and directly serve donabe to the table. 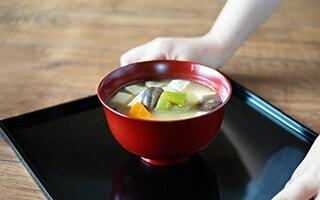 In this page, we collect our recommended donabe. Omnipotent donabe will broaden your cooking. 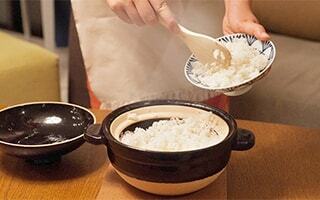 Donabe rice cooker Kamado-san from Nagatani-en has been popular that it can cook delicious rice easily. One of our staff tried to cook. This page introduces how to cook white rice with Kamado-san and how to season donabe before using it. 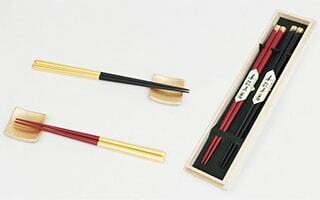 In Japan, 2 pairs of chopsticks are called Meoto-bashi. 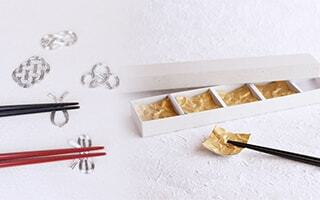 Stylish Japanese chopsticks are recommended as gifts for wedding, anniversary or celebrating long life. 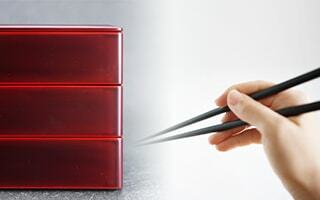 Please select best set from various chopsticks for your dearest person. 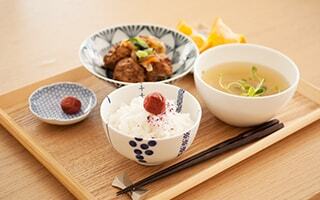 Nousaku sake sets have been popular since they can make sake delicious. 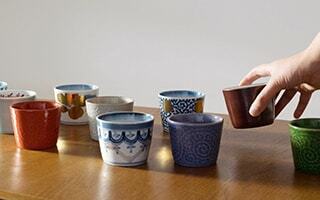 Tin sake cups can make the taste of sake mellow. 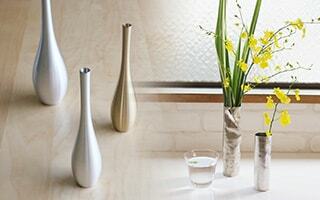 Stylish and chic sake sets have elegant atmosphere. 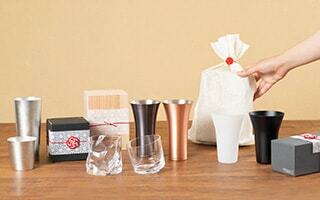 Your sake time would be more wonderful with these sake sets of Nousaku. 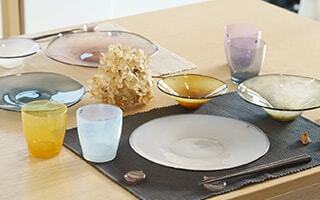 Change daily tableware into pastel colored plates or flower items. 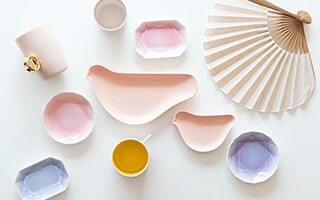 If it gets warm, pastel colored plates can make you feel the sense of season and relaxed. 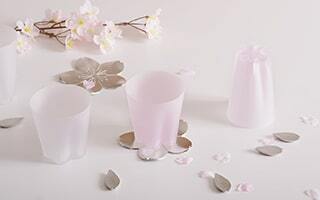 We select cute pastel colored plates and flower items for warm table coordinate. 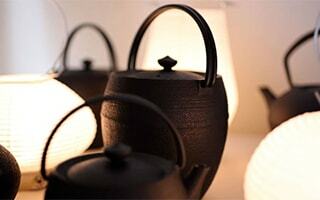 Now, Japanese traditional crafts have been paid attention from the people in Asia and Europe. 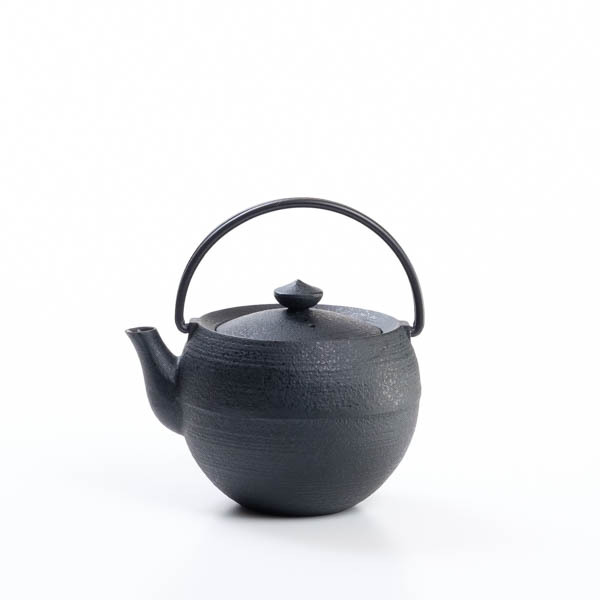 Especially, Japanese cast iron teapot of Yamagata casting have been popular. 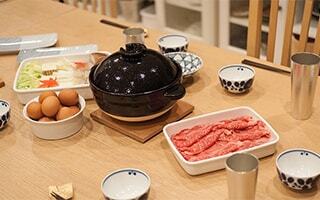 We introduce the charm of Japanese cast iron products from Chushin Kobo. 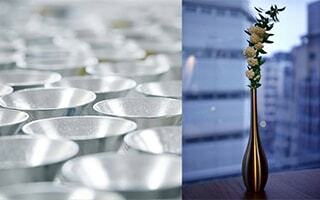 From natural design to high-quality products used at elegant restaurants. Wajima Kirimoto inherits the tradition of Wajima lacquerware. 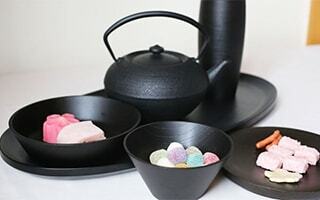 This page introduces the fascination of traditional Japanese lacquerware and great products of Wajima Kirimoto. We found a table coordination fit with sushi. 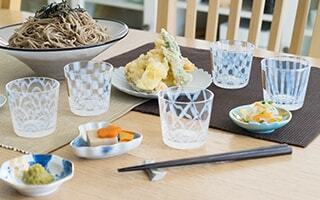 How about enjoying stylish sushi party with Suzugami and Taisho Roman glass? This is a tea caddy, which was awarded the Good Design Award. It was taken up even Japanese TV program "IPPIN". Please enjoy the coordination of peaceful hospitality emotion of Japan. 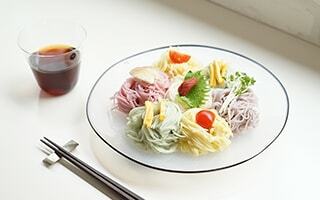 These days, multiple medias have paid attention at “tin tableware.” Among them, Nousaku items have been popular in our store. 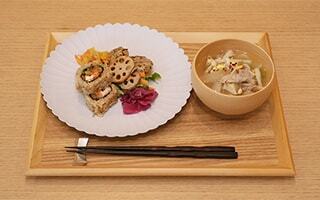 This page is the introduction of Nousaku and their products. Good material and high quality products are suitable gifts, too. 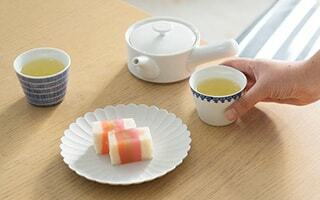 It is a Scandinavian design mug that utilize the skills of type craftsman of Seto City, Aichi Prefecture. 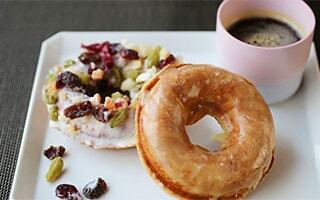 If you add to coffee time you can enjoy Nordic cafe. 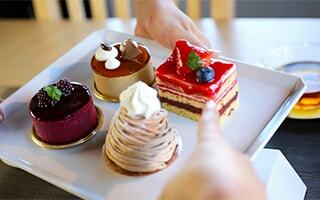 Are you looking for food presentation ideas for SNS pictures? 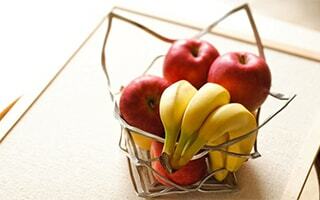 We introduce best ideas of food presentation here. 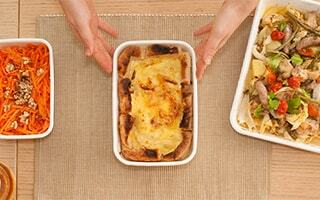 Also, we have some useful tableware for easy food plating. 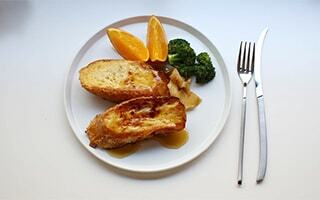 With some tips and simple tableware, your food presentation become more stylish one! Start coffee life at home with this page! 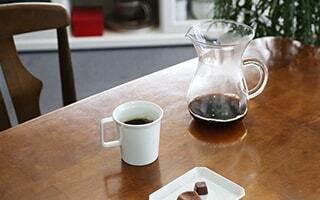 We introduce how to brew delicious pour over coffee here. Also, we propose richer coffee life. “I wish I could brew delicious coffee at home!” If you think so, this page will help you.